Dubai Retail, the retail management arm of Dubai Holding, focuses on developing, operating and managing the company’s extensive range of strategically located retail assets across prime destinations and communities in Dubai. This primarily supports the growth and expansion of local and global retail partners through the delivery of holistic, convenient and diverse retail solutions. With a retail footprint spanning two million square feet, its 12 mixed-use properties comprise over 1,000 multi-format units across eight key locations in the city. The company’s differentiated portfolio incorporates Jumeirah Beach Residence (JBR), a premier beachfront attraction, Souk Madinat Jumeirah, one of Dubai’s most sought-after tourist destinations and the Boulevard at Emirates Towers District, situated in the heart of the city’s financial hub, as well as Bay Avenue and Bay Square in Business Bay. Meanwhile, its community centres cater to a wide catchment within popular suburban districts, such as Mudon, Al Waha and Layan in Dubailand, Shorooq in Mirdif, Al Khail Gate in Al Quoz, and the new neighbourhoods of Dubai Wharf and Manazel Al Khor at Jaddaf Waterfront along Dubai Creek. Bay Avenue, a unique retail destination in the heart of Business Bay, is part of a distinctive portfolio of assets that enhance the emirate’s retail landscape. 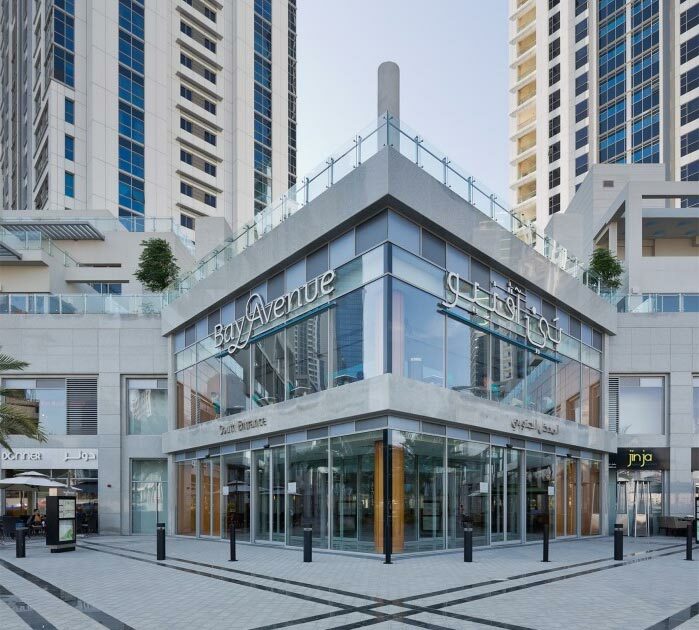 Located adjacent to the central business district of Downtown Dubai and overlooking Bay Avenue Park, the destination comprises approximately 110 fully operational indoor and outdoor retail outlets across two levels, spanning an area of more than 170,000 square feet. Bay Avenue is a key point of convergence for the over 25,000 people who live and work in The Executive Towers and the neighbouring high-rises and hotels across Business Bay. Offering something for everyone, the bustling destination supports business growth through its myriad eclectic cafés, restaurants, retail outlets, leisure and sports facilities, and essential services.